Bucks County fire rescue crews responded to the scene of an accident in Bensalem. 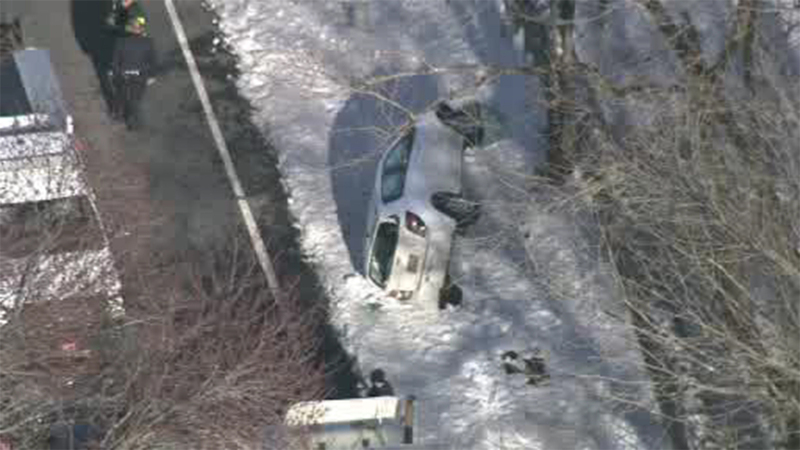 BENSALEM, Pa. (WPVI) -- Bucks County fire rescue crews responded to the scene of an accident in Bensalem. Chopper 6 was over State Road and Tennis Avenue Thursday afternoon. There around 4:30 p.m, police say the driver of a small car lost control, left the roadway and rolled on its side. There was also a report of a person trapped, but that person has been freed. No word yet on that person's condition. State Road is closed in the immediate area for an investigation.